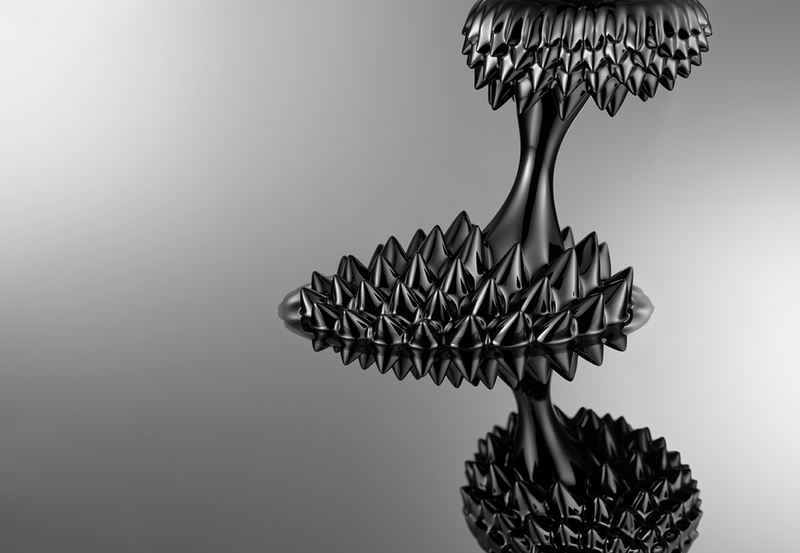 This image — “Magnetostatic Spawn” by Aleks Labuda from Santa Barbara, California — depicts ferromagnetic particles suspended in a fluid and manipulated by two rare-earth disc magnets. It placed 3rd in NanoArtography, an international scientific image competition that celebrates the surprising beauty of nanoscale materials. The contest was organized by Babak Anasori, a research assistant professor in the A.J. Drexel Nanomaterials Institute and the Department of Materials Science and Engineering. Approximate number of times you’d have to slice a human hair to reach one nanometer of thickness. Number of submissions to the Nano-Artography contest this year. In its first year, the contest received 100 submissions from around the world. Prize purse for the People’s Choice award, given to the image that gets the most likes on Facebook. This year’s People’s Choice post reached 175,346 people in 18 days. Number of followers of @NanoArtography on Facebook. Top prize amount. Second place prize is $300 and third place is $100.